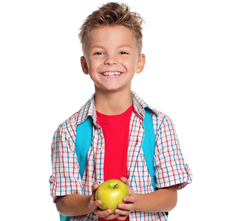 Almost one in every four Utah students in grades K–6 is overweight or obese. The lack of school policies and environmental supports for physical activity and healthy eating contribute to this ongoing epidemic of obesity among school-aged children. Utah’s elementary schools increasingly focus on student academic achievement, resulting in fewer opportunities for physical activity and nutrition education. Learn how the Utah Department of Health partnered with schools and local health departments to create healthier school environments and address childhood obesity. The mission of the Utah Department of Health is to protect the public's health through preventing avoidable illness, injury, disability and premature death; assuring access to affordable, quality health care; and promoting healthy lifestyles.